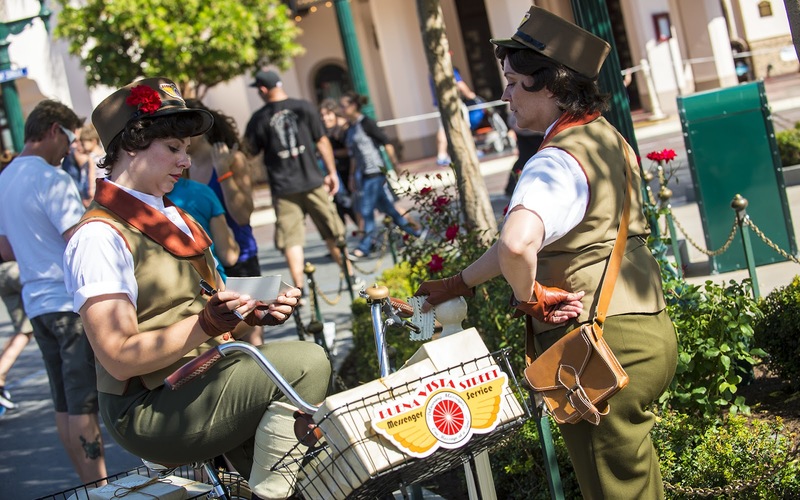 I realized I never really finished my Citizens of Buena Vista Street series last year, but maybe it's a good thing, because this post would have only been half complete had I done it last year. 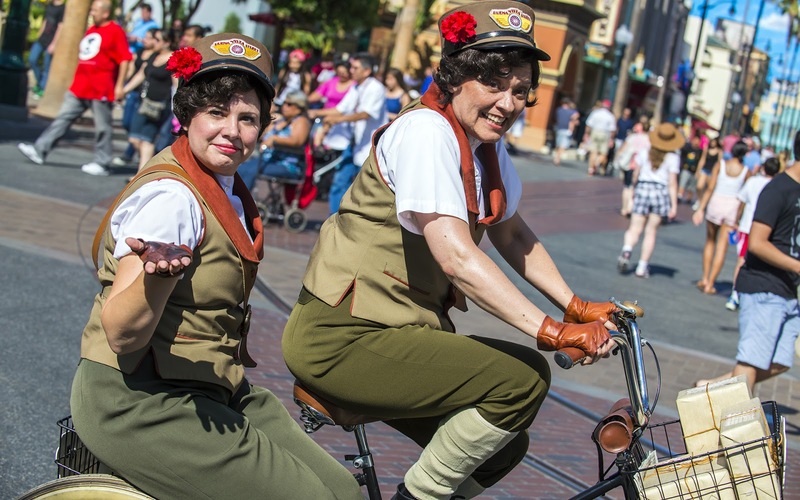 Molly and Milly are the Messenger Twins on Buena Vista Street. Originally, there was only one delivery girl in this neighborhood--Molly the Messenger. She was well intentioned, but she had a knack of getting lost of bumbling her packages around. But she was always nice, and always trying to figure out this whole thing. They share a bike and pedal around trying to deliver packages. At some point, though, her sister, Milly, joined the fray. And since then, everyone's been seeing double. 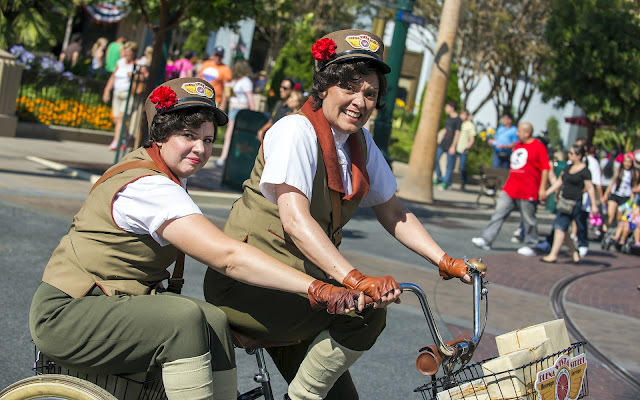 Like any pair of sisters, Molly and Milly have their fair share of amusing bickering, and they'll try to prove how right they are. But ultimately, they're around to enjoy things. So even if those packages don't necessarily get delivered in a timely manner, at least there's fun in getting them there! Sometimes, it's a trying experience. The pair constantly needle each other. It can result in awkwardly entertaining scenarios!